The premise of an international order defined by the West and shared by the rest has been shown to be faulty. Ever since the Soviet Union fell apart and nationalism re-emerged as a divisive as well as cohesive factor in Eastern Europe, I have wondered whether a nationalist Russian political elite would be able to accept the independence of Belarus and Ukraine, and – to a lesser degree – of other former Soviet Republics. My instinct was that it would be a problem, but my analysis suggested that the matter of the former republics’ independence was not a priority during the Yeltsin years. And it did not become a key issue of Vladimir Putin’s Kremlin until Putin returned to the presidency in 2012. The consensus that emerged from frequent debates with colleagues seemed to be that Russia’s political class would accept the post-Soviet status quo in favour of addressing instead other policy issues of Russia’s economic and political development, even though many conceded that historical and cultural sentiments ran against it. My doubts remained. They were reinforced when Russia began to oppose NATO enlargement, and, later, when it warned against EU enlargement, when it sharply criticised US planning for an anti-ballistic missile shield over NATO, and when it opposed the invasion of Iraq – to name just the major incidences of the changing face of relations between Russia and the West. Russia’s ruling class felt that Russia was disregarded, disrespected, and marginalised. They came to believe that Russia’s opposition to projects or decisions had no effect and that its security interests were not accepted as equal to those of its Western counterparts. They saw the mobility of Russia’s citizens blocked by visa requirements and they felt that its offers for cooperation were treated with suspicion or rejected. Clearly, in its new role as a non-hostile actor, Russia had lost relevance. It was not wanted as a partner, except on terms previously defined by the West. Eventually, they saw Russia confronted with a comprehensive containment and roll-back strategy that was launched by the United States, assisted by the United Kingdom, and gradually accepted by France and Germany after Nikolas Sarkozy and Angela Merkel came to power. Vladimir Putin himself wrote the best summary of this Russian view of the West and its role in the world in a longer article he published as part of a series of op-eds during his campaign for re-election to the presidency in 2011. 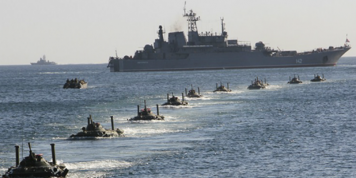 This Russia sees NATO as an alliance directed specifically against Moscow. It believes that key European countries have instrumentalised the EU for the same purpose, and it detects critical developments almost everywhere: in Syria, in Moldova and Georgia, in the courting of India, and in the deepening of relations with China. Putin has responded by putting forward policies based on a wider interpretation of Russian nationalism. He has set the project of a Eurasian Union against EU expansion. He has increased Russia’s attention to global powers and emerging players. He has placed renewed emphasis on military power and presence, and he has increased his involvement in global status politics. In the sometimes superficial language of Western political discourse, the entire period between 1945 and 1990 was re-labelled as the Cold War soon after the fall of the Berlin Wall. The Russians do not see it that way (and, in fact, neither do some West Europeans). From the Russian perspective, the initial steps towards strategic arms control in the 1960s, the bipolar conflict gradually devolved into the “East-West Conflict”. This conflict had elements of sharp difference and competition, but was based on an accepted status quo, on strategic parity, and on political respect. And it involved both sides cooperating to reinforce both parity and respect. Russia would like to return to this state of relations, and if it takes steps to do so, neither Europe nor the US can do much to stop it. The events in Ukraine in recent weeks have reaffirmed for me that Putin did indeed only accept Ukrainian independence as circumstantial. The Russian seizure of Crimea seems to represent Plan C, after the failure of Plan A (Ukraine’s voluntary return into a “Slavic Union” with the Russian Federation) and Plan B (an independent but weak Ukraine dependent on close relations with Russia). Russia saw Ukraine’s planned Deep and Comprehensive Free Trade Agreement and its wider framework Association Agreement with the EU as a decision against Plans A and B, which could not be reversed other than through military force. Plan C, therefore, seeks to separate from Ukraine those parts of the country which can be isolated based on ethnic grounds, political tensions, and support brought in from Russia. If this assumption is valid, Russia will try to attract other parts of Eastern Ukraine, at minimum, to join the Russian Federation. However, it will not be able to accomplish this as swiftly as it orchestrated the absorption of Crimea. And the Kremlin seems determined to not use military force at first (at least by formal Russian troops). Federalising Ukraine would work towards that interest, although it would not offer the same options as would autonomy status. Plan C is a fall-back option, because the view on which it is based aspires to the control of the entirety of Ukraine. If Minsk were ever to change its political orientation, the same premise would also apply to Belarus. It is likely that Georgia, Moldova, Armenia, Azerbaijan, and the states of Central Asia would not fall victim to the same claim: a pan-Russian nationalism does not consider them to be constituent parts of Russia. Instead, they would be placed on a second ring in Russia’s space of concentric circles, the “Eurasian Union” under Russian leadership. This is the core of what Marek Menkiszak of the Polish Centre for Eastern Studies (OSW) has called the “Putin Doctrine”. The question is what the EU and its members can do about it. They will neither like nor accept it, but will their disapproval have any impact on the Russian leadership? As a consequence of their position, Europeans will have to reduce engagement with Russia, both in the context of the EU and through NATO. They will keep visa restrictions in place and continue the soft sanctions approach taken after Crimea’s integration into the Russian Federation. Because they do not and will not formally recognise the changed status of the peninsula, they will have to protest against a Russian presence there. If Putin were to invite former Allied Powers to join him at a commemoration of the seventieth anniversary of the Yalta Conference in February 2015, which would otherwise be a good occasion to reiterate the principles of democratic governance and self-determination, he would find himself in Yalta on his own. If the Putin Doctrine holds, the covert and overt destabilisation of Ukraine will continue, by methods that will change according to the opportunities afforded by political fragmentation in Ukraine. This will prompt sharper reactions from the West, if only to maintain credibility at home. Barack Obama will feel the heat most: he has been the most vocal of Western leaders in opposing further Russian action, and he will be under particular scrutiny from his Republican opponents when it comes to delivery. In Europe, more serious economic sanctions would jeopardise the already sub-single digit growth in many EU countries. And the most promising option, an energy boycott, is out of the question for another 15 years because of the lack of viable alternatives and infrastructure. Any decision to ratchet up opposition, which would likely be driven by those with few economic ties with Russia, would run the risk of splitting the EU. So, Europe will likely come up with a relatively moderate response, highlighting its principled stance but not trying to punish Russia in any way that could really hurt. As a result of this approach, European political actors will seek to deny a paradigm shift from Russia as a partner to Russia as an opponent, so as not to irritate or scare their domestic public. In all probability, the Kremlin will be aware of the change in paradigm, but will also recognise Europe’s effort to deny the shift. The Putin administration can live with being perceived as Europe’s principal opponent, because that would give Russia meaning, respect, and attention. But Russia’s leadership will also see that European policymakers do not want to scare their domestic audiences, which will make the Europeans cautious about portraying Russia as the main opponent, even though they may act on that premise.In Russia, the Western response is already perceived as proof of its anti-Russian approach and as evidence of its previous strategy to steal Ukraine from the “Russian World”. In geopolitical terms, this amounts to another version of the “Russia first” approach, even though this will be denied in official statements. From a Western perspective, even if Russia is viewed as an opponent, it will still make sense to engage Russia on economic cooperation and to seek ways of building interdependence with Russia. Any such cooperation is unlikely to be as comprehensive or as deep as it could have become under the premise of partnership (although Russia has mostly disappointed expectations in this regard). However, cooperation could be effective in curbing Russian ambitions and appeasing Russia’s fear of marginalisation and might even influence the choices of the current Russian leadership. In this way, Ostpolitik will see a revival, this time focused not on overcoming the partition of Europe (and of Germany), but directed at securing the EU’s space. When Putin succeeds in rebuilding the “Russian World”, the EU will share a long common border with the new Russian space, running from the Barents Sea to the Black Sea. Brussels will need to reassure member states along this border and will need to represent their interests as well as the greater EU interest in its dealings with Russia. Neither the present set-up of the EU’s foreign policy instruments nor the level of security and defence integration within the EU are sufficient for this task. Protecting the political and territorial integrity of the EU is a vital interest both of the EU and of its member states. But if challenges to the EU’s integrity are to be met, the turf battles between the EEAS and the European Commission, the apathy within some member states, and the preservation of a largely dysfunctional or redundant defence posture will turn out to be unsustainable. For most Ukrainians, Russia’s policies and Ukraine’s weak statehood have resulted in a tragedy. Geography and geopolitics put them within reach of Putin’s play for status, and incapable leaders have put them out of reach of the EU. If the Kremlin is determined to ignore legality and legitimacy in Ukraine, then it can hardly be stopped by outside forces, even though it is acting against Russia's longer-term best interests. Ukraine has taken a decade to arrive back at the point of the Orange Revolution in 2004. Reform leaders then failed to implement true reform, putting their own interests before those of the nation. In essence, they gave the revolution away. Now, Ukraine needs a second chance, but conditions have changed. International affairs can be uncompromising – and for now, Ukraine has no reset option. EU and international assistance could help to prevent state failure in Ukraine, but any longer-term improvements will have to come from within the country. 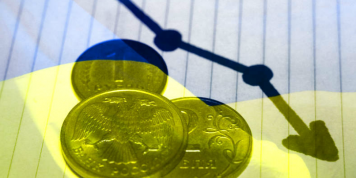 Brussels has no budget to spend on the general purpose of achieving EU greatness, so any funding beyond initial fiscal injections will be conditional on substantial reforms in Ukraine. These reforms will increase political tensions in the country and could trigger further dissatisfaction, which Russia might be able to exploit. Even so, the EU will not change its approach on assistance so as not to risk its legitimacy among its own taxpayers. Flying the EU’s flag over Maidan was meant as an appeal for help, but giving the help that is needed would overburden the EU. In the wider context, the Ukraine drama signals the end of the EU’s European Neighbourhood Policy (ENP). The Eastern Partnership was built on the premise that group dynamics could be used to reinforce processes of convergence with the EU and to encourage mutual learning and regional cooperation. The programme could be seen as a corridor, at first quite wide, but gradually narrowing towards EU complementarity. In this way, it resembled the regatta model of Eastern enlargement of the EU, in which countries were allowed to “set sail” and take part in negotiations towards accession. However, Ukraine’s talks came without a clear membership perspective. A sober assessment after the Crimean coup shows that these assumptions are no longer founded in reality. Ukraine is under siege and the tools of the ENP will not save it. Belarus has rejected the EU approach, and if it had not, it would come under the same pressure from Russia that Ukraine is facing now. Armenia has opted out in favour of short-term gains from Russia. And Azerbaijan does not feel the need to lean towards either side. This leaves Georgia and Moldova, both of which have disputed internal borders and ethnic conflicts that Russia could exploit to its advantage. In light of this disarray, the EU's interests in the neighbourhood will be better served by country-specific policies, less deep and less comprehensive agreements except where clearly feasible, and more flexible and more readily available support for civil society. It would be better to provide less, but timely and targeted, money through the Endowment for Democracy than to offer large-scale funding from the Commission that would require deep involvement from local government. In a different way and without a dividing actor like Russia, the ENP’s collapse also applies in the Southern neighbourhood. Taken together, this amounts to a serious crisis of Europe’s international role. After all, the EU’s recognition and reputation as a leading international actor rests in large part on its ability to stabilise, pacify, and advance countries in the neighbourhood. Contrary to many commentaries, Europe’s future will not be defined on the Maidan or in Ukraine. It will be defined within the European Union, if and when member states finally come to understand what lies ahead.